3 Minutes of Faith-Building Prayers Just for Teens! Each day’s reading includes. 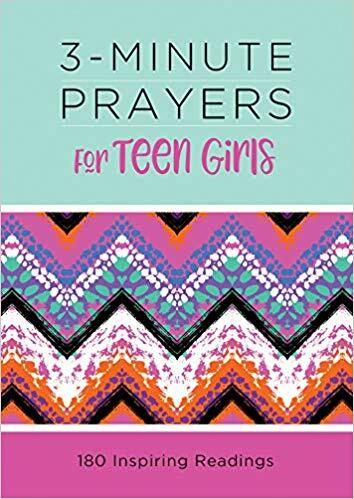 . .
Each of these 180 prayers address important issues of life common to all girls—such as knowing God, building strong friendships, making choices, and serving others. Just 3 short minutes and girls will be on their way to delightful one-on-one time with their heavenly Father!